Permission included in the .xsf file. 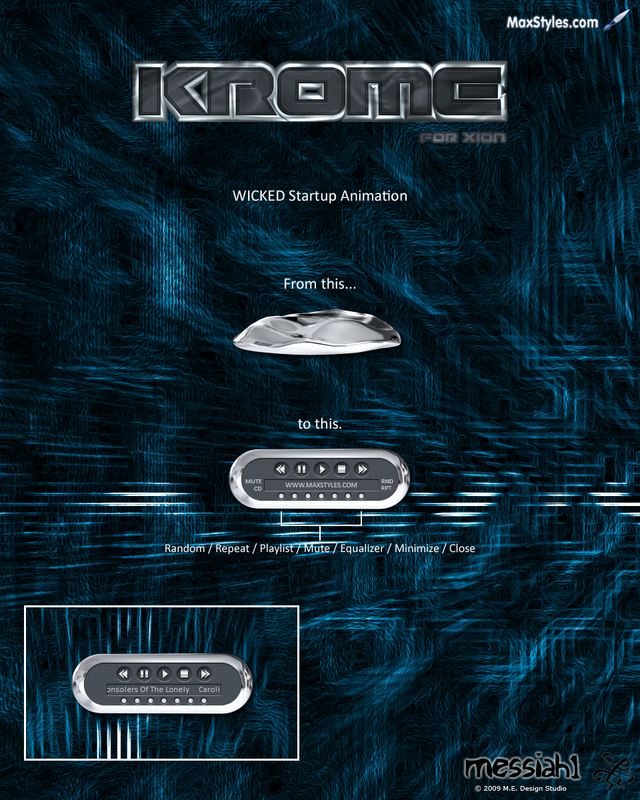 To install, just double click the Krome_m1.xsf file. If you don't have the font, it'll install it on its own. Please enjoy and swing by Link for more stuff from the MaxStyles gang. Now holder of vStyler's prestigious "Best Xion ever" award, great job bro! Yeah! Awesome well designed skin! Utterly amazing what you guys can do! Really awesome job! Love the animation! At first it seems like a hunk of junk but then it straitens itself out nicely. Nice work!